In April 1964, Gail Brown was a 22-year-old Chicago elementary teacher who needed a new car. Like a lot of young people, the brand new Ford Mustang caught her eye. After trading a 1958 Chevy for $400 and borrowing the rest from her parents, she bought a Skylight Blue convertible with a 260 cubic inch V8 on April 15. What's truly notable about this story is that date. Gail managed to snag her car two days before it officially went on sale on April 17, making her the world's first owner of a production Ford Mustang ever sold to anyone. And yes, Gail still has the car, and now it's been fully restored so it looks like it did back in the 60s, according to the folks at Ford, who recently released the details of her story and the photos of its 50-year life. 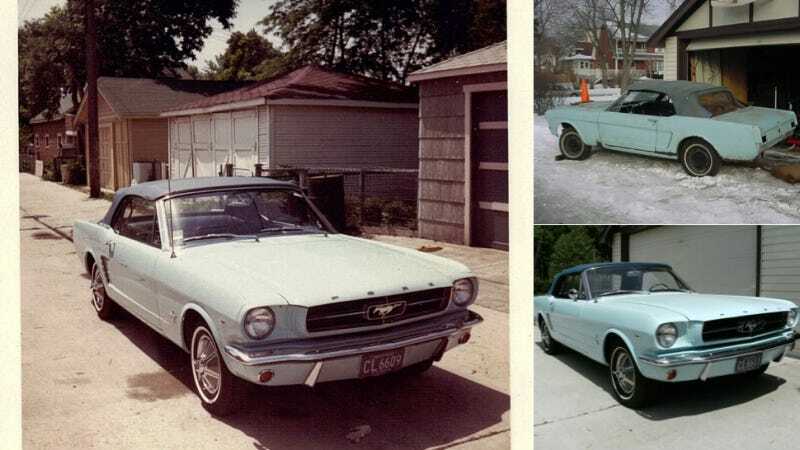 Today, Gail recalls with a great deal of fondness those early days of Mustang ownership: “There was a middle school attached to our elementary, and the boys fawned over the Mustang. Ford said that Gail married a young sailor named Tom Wise in 1966 and moved to the suburbs the following year to start a family. They kept the Mustang as a daily driver well into the late 1970s. But a decade of Chicago winters and abuse from four kids had put it in rough shape. Gail considered ditching the rusted out, gutted pony car, but Tom insisted on keeping it with the dream of restoring it to its former glory one day. The poor Mustang stayed in storage until 2007 when Tom decided to finally go for it. It took three years to rid the car of rust and bring its mechanical parts to their former glory, but they did it, and now they take the car around the country to car shows, "amazing everyone with the story and all the documents to back it up," Ford says. It's crazy to think how much that car would be worth if they decided to sell it, and their temptation to sell the rusted-out husk over the years is perfectly understandable. But I say good for them for hanging onto it and then restoring it to factory condition. Let's hope it stays on the road another 50 years.